Gottlieb’s 1995 Shaq Attaq features four flippers, three multiballs, one ramp, two cannons, two captive balls, five drop-targets and a vari-target. The players get a real feel for basketball by sending the ball, through the air, toward a moving basket. With this ramp jump challenge, players must shoot a ramp with proper timing to launch their pinballs and sink point-scoring baskets. The player plays as Shaquille in qualifying Events and the Finals. Events include: the Tip-Off, HORSE, the Alley-Oop, the Shot Clock, and Shatter the Backboard. 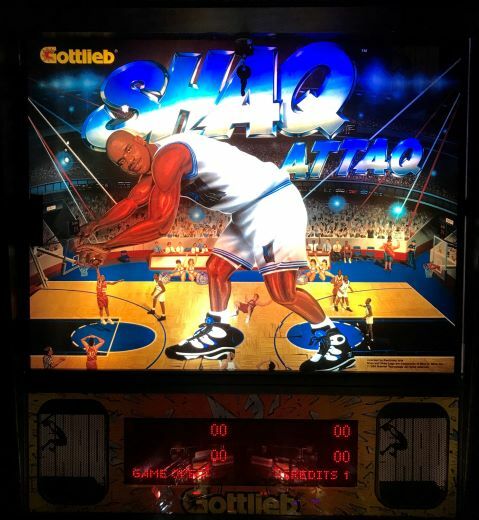 The Shaq Attaq Multiball allows players to rack up baskets, and spelling S-H-A-Q-U-I-L-L-E enables Slammin’ Jammin’ which builds up bonuses. Shaq Attack is a fun game of pinball, complete with multiball and shooting baskets. Players can enjoy the challenges of the game’s harder goals and Hidden Features. The game has five “Hidden Features”, each of which is awarded after performing a certain feat in the game. An end-of-game bonus is given for the number of Hidden Features found; getting all five awards an extra one billion points. This solid state game was designed by Jon Norris and features art by Constantino Mitchell and Jeanine Mitchell. The game has been configured for free play. 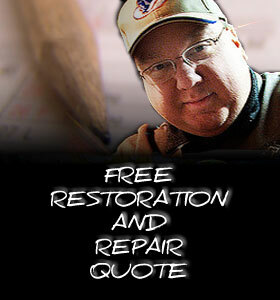 Please call or email for further details.